How Can I Make My Voice Deeper When Belting? I can’t really say when you’ll get your voice back from overstraining, but I’d suggest keeping things light and right in the meantime until the rasp goes away. One way you can help encourage your cords to properly close again (getting you past the raspy sound) is to slide up and down your range on vowels with edge closure… Edge closure and cord closure are similar… edge is just the lightest version of cord closure. Here’s a video demonstrating cord closure – http://www.youtube.com/watch?v=mjdBKCh7EK8. When it comes to developing a deeper belt/mix voice, it’s absolutely possible for you to do that. It’s going to be a factor of balancing a lowered larynx (to do this, sing with more of a hooty tone) with a steady flow of air while keeping the outer muscles of the throat relaxed (including the area under the jaw). One of the common misconceptions of singers looking to mix is they want to take the pressure up with them. While there is an element of compression in mixing on the top, the foundation of release in mix is head voice. Maintain the release of head voice and your mix will be more balanced and you’ll be less likely to over exert yourself. If you’d like more guidance in accomplishing this, we can arrange a skype lesson or two. There are enough different elements that have that have to be tweaked differently in different voices that describing how to accomplish a mix online can be rather difficult. 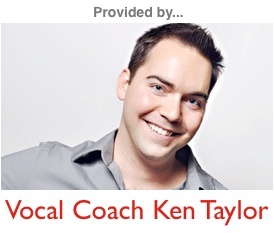 You can find out more about my lessons at http://www.vocalcoachkentaylor.com. I hope this helps, and best of luck to you!